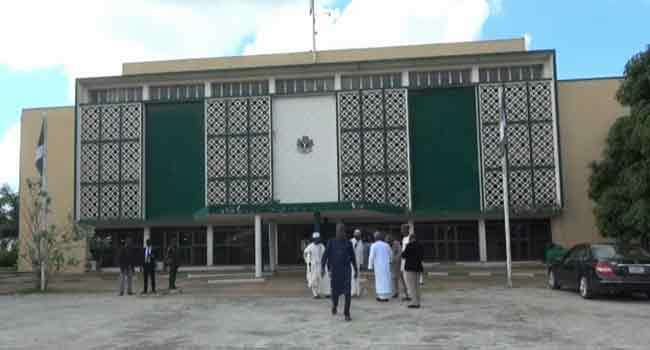 (File) A front view of the Kaduna State House of Assembly complex. The Kaduna State House of Assembly has declared the seat of the immediate past Deputy Speaker of the House, Mr John Kwaturu, vacant. 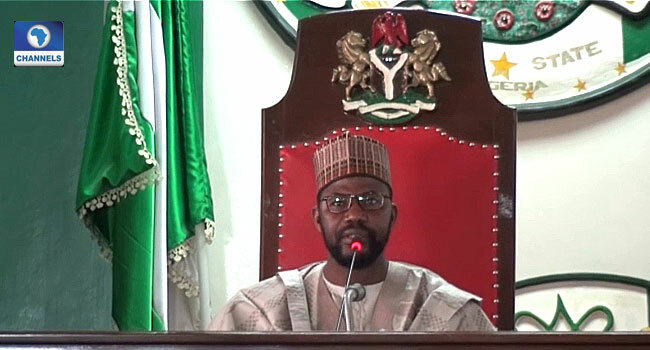 The Speaker of the House, Aminu Shagala, who announced this during plenary on Wednesday, also declared the seat of the member representing Kudan Constituency, Mr Yakubu Junaidu, vacant. Shagala said the seats of the two lawmakers were declared vacant, following their defection to the Peoples Democratic Party (PDP). He explained that their defection contradicted section 109 subsection (1G) of the 1999 Constitution which gives the condition under which elected public officials can defect from one party to another. The speaker argued that there was no crisis in All Progressives Congress (APC) that could have warranted the lawmakers’ defection to another party. Speaker of Kaduna State House of Assembly, Aminu Shagala. Mr Kwaturu and Mr Junaidu announced their defection from the ruling party to the opposition on Friday last week. They explained that they took the decision as a result of alleged impunity, draconian leadership style and a lack of unity among members of the APC. The lawmakers claimed that the party’s pattern of leadership at all levels would no longer serve the interest of the people who elected its members into various offices. The former deputy speaker, who represented Kachia Constituency in the State Assembly, believes that his continuous stay in the APC would not be in the interest of his supporters and constituents. He had tendered his letter of resignation as deputy speaker on Tuesday, saying he took the decision after consultation with his political associates and supporters.